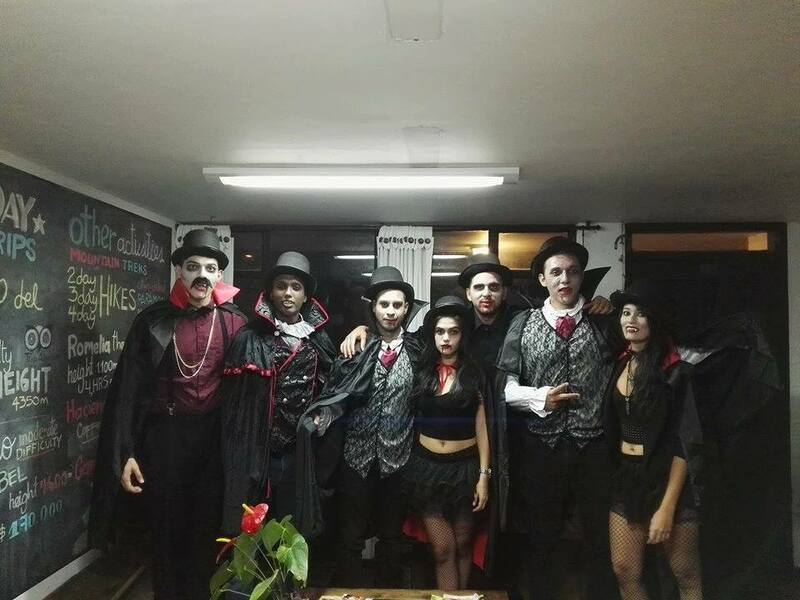 This was my 2nd year in a row celebrating Halloween in Manizales. This time around was even better than last year. We had a bigger group of friends with us and I brought my girlfriend as well. It was her first time visiting the city. A normal bus ride to Manizales will take approximately 4 and half hours. If you have traveled by bus from city to city in Colombia, then you already know to expect some sort of delay. Bus rides to Manizales leave from Terminal del Sur. Any taxi driver will know where to go if you ask them to take you to Terminal del Sur. There is a saying in Colombia that if you do not experience any sort of delays in your travel, then it was not a good trip. My girlfriend Cindy and I took the bus there and back. The way there took six hours because the roads were being painted with new lanes. Our trip back to Medellin took eight hours! Apparently a semi-truck had been tipped over since Friday and they were just now picking it up Sunday night. Our friend Juan, Joel, Michael, Joel, and my brother Andrew had rented a car (and for very cheap by the way) for the trip. If you are interested in renting a car in Medellin, do not hesitate to ask me. Simply send the Facebook page a private message. 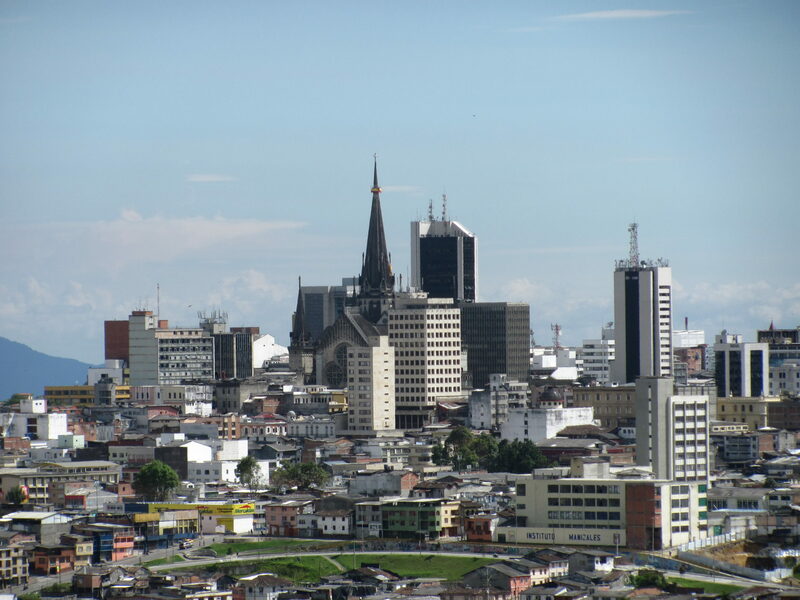 Manizales is a small city in the Caldas department. It is a part of the Cafe Triangle along with the departments of Risalda and Quinidio. The weather in Manizales is cold. During the day, the weather will be an overcast gloomy day with grey clouds covering the sky. Some times it will rain during the day and as well as at night. So remember to pack warm clothes and an umbrella when visiting Manizales. Before heading out on our trip, we had reserved two rooms at Kumanday Hostel. The hostel is very clean, affordable, and they give you free breakfast! Kumanday is located in “El Cable” which is where all the bars and clubs are at. 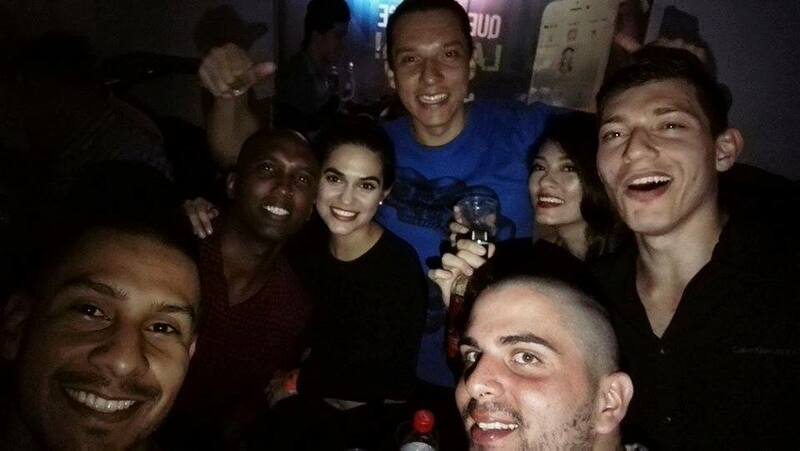 The nightlife in Manizales is awesome! The city is filled with university students. 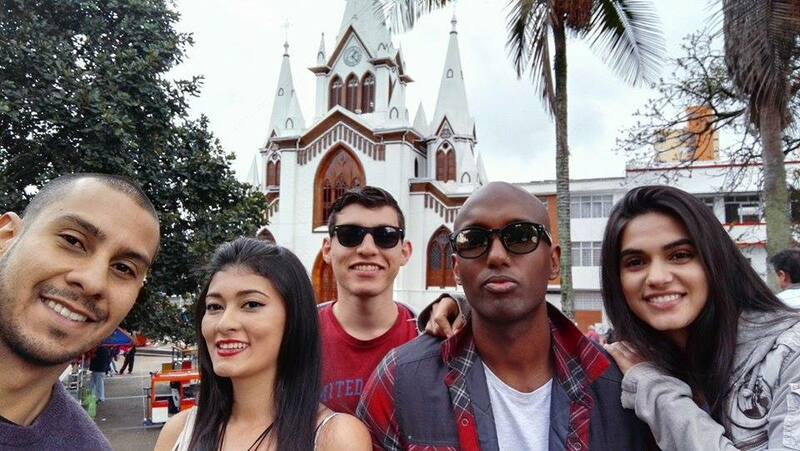 Many students come from all over Colombia to study at one of the many schools in Manizales. Like all college students, they love to party. Two of my personal favorite clubs are ManilaBar and Simon Dices. Both located in El Cable. Our first night in Manizales we headed out to a local liquor shop and started drinking. At the liquor store you can buy eight year old rum for 52.000 COP ($17 USD). Now that is cheap, and it is very good rum. As we were finishing our drinks, we decided to go to Simon Dices. The place was full and we danced for about an hour and a half before going to Manila. Manila was also full of people and we had a great time. Both places charged us 10.000 COP cover charge. The drinks/bottles there are relatively cheap and they both play the same kind of music. The music is a playlist of bachata, salsa, reggaeton, and champeta. We were hoping to dress up our first night, but we went out to go bowling before hitting the clubs and noticed not everyone was dressed up. We asked some of the locals and they informed us that Saturday night is when everyone dresses up. Saturday was a spectacular day. We left our hostel around midday and visited el Centro of Manizales. El Centro of Manizales is very nice. There are a ton of retail shops, restaurants, bakeries, churches and parks. El Centro is a place you definitely want to visit when coming to Manizales. 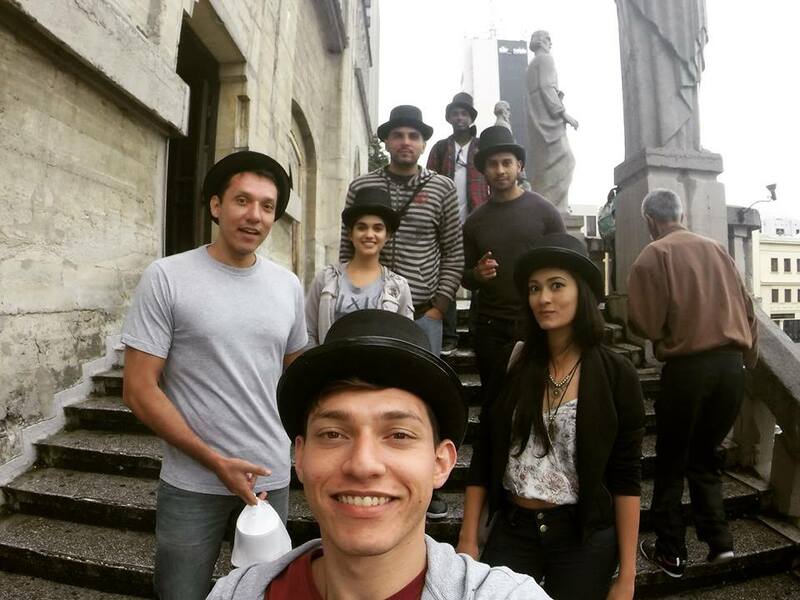 In el Centro you can climb the top tower of the giant cathedral which is located in Parque Bolivar. One thing you will notice is the beautiful architecture of their churches. Enter the cathedral and ask for the tour, they will take you to the top where you will have an amazing view of the whole city. As we walked around el Centro or “downtown” as I like to call it, we picked up a few things for our costumes and headed back home. 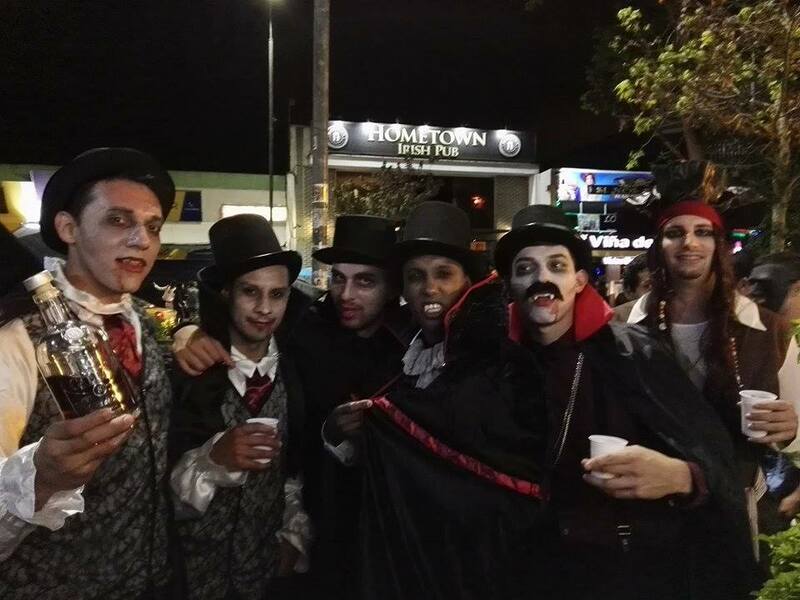 The crew dressed as vampires for Halloween. 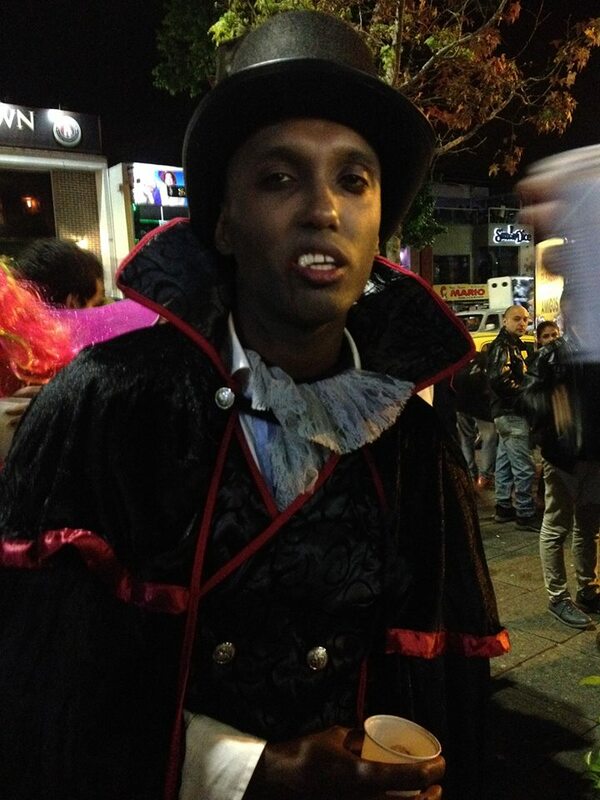 It was time to get into costume and lurk into the night for some Halloween fun. 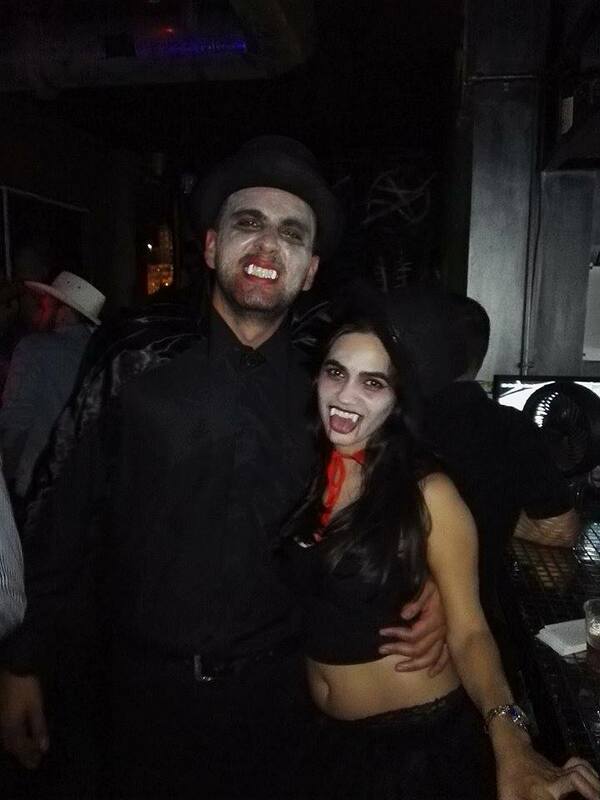 We all decided to dress up as vampires this year. If you ask me, I think we looked spectacular. 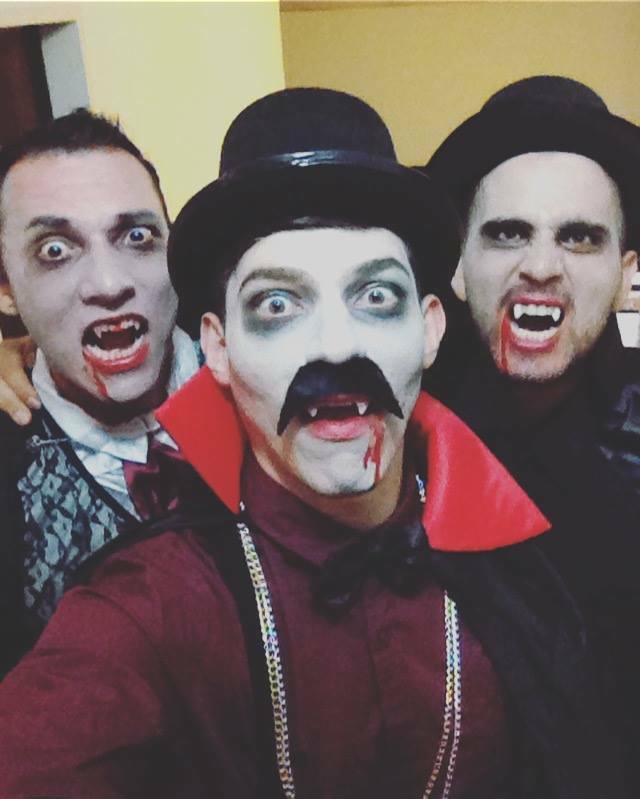 We all had matching top hats on, capes, fangs, and blood dripping down from our lips. The first thing we did was go straight to the same liquor shop and we bought two bottles of eight year old Caldas Rum. Our friends Debora and Swissy had joined us this night. 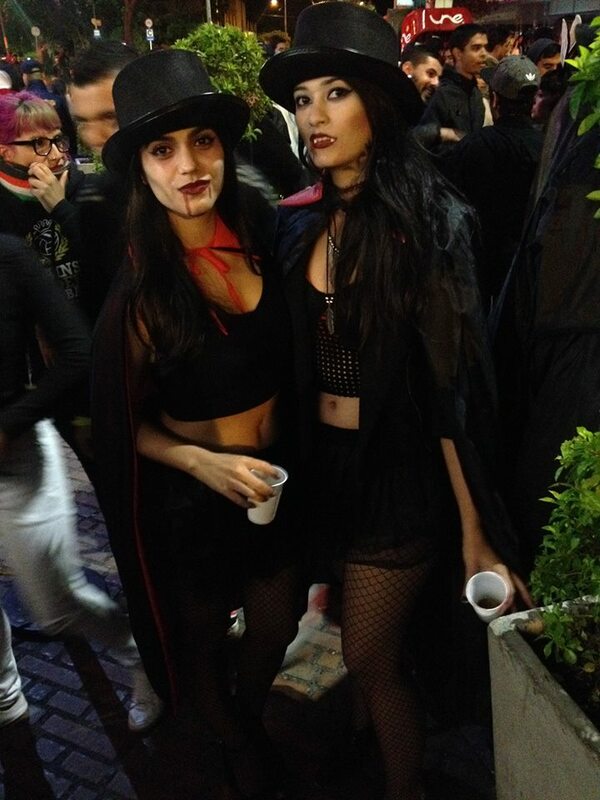 Unfortunately, they were not dressed as vampires like us, but they still looked great. After having one too many drinks, we all headed to ManilaBar again. Manila was hosting a costume contest, in which I came in 3rd place! I did not win anything, but it was great participating. We saw all kinds of great costumes, such as a group of jigsaws from the movie saw, an old grandpa, superheros, and a lot of Minnie Mouses. Once we grew tired of Manila we took a cab to a club high up on a hill called 2150. The cover there is 25.000 and the club itself is very cool. Be sure to go on their outside patio, because it has a great view of the city. My memory gets a bit foggy at this point, but I know we all had a great time! Partying is not the only thing to do in Manizales. The small city offers many activities for everyone! 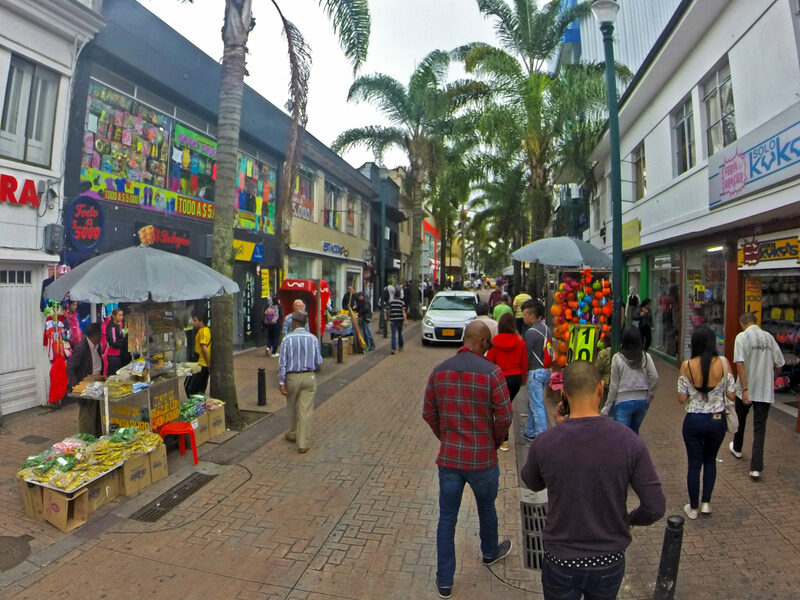 Here a few other things you can do in Manizales. Once Caldas is the soccer team of Manizales. If you are staying in El Cable, then the stadium is very close by. Chipre is close to the center of Manizales. At Chipre, you can go on the sky walk, where you have an spectacular view of all the city and the surrounding departments. Manizales is an amazing little city with so much to offer. 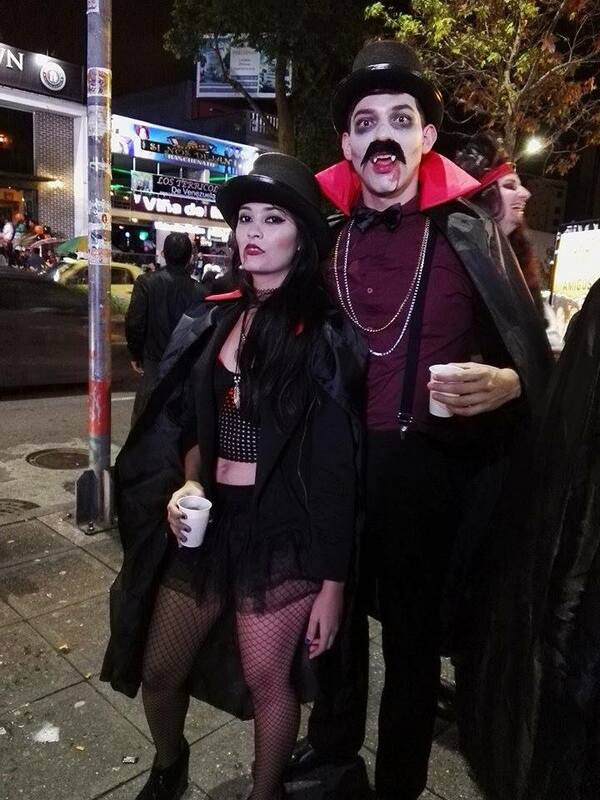 Celebrating Halloween in Manizales is always a great time and I highly recommend it. 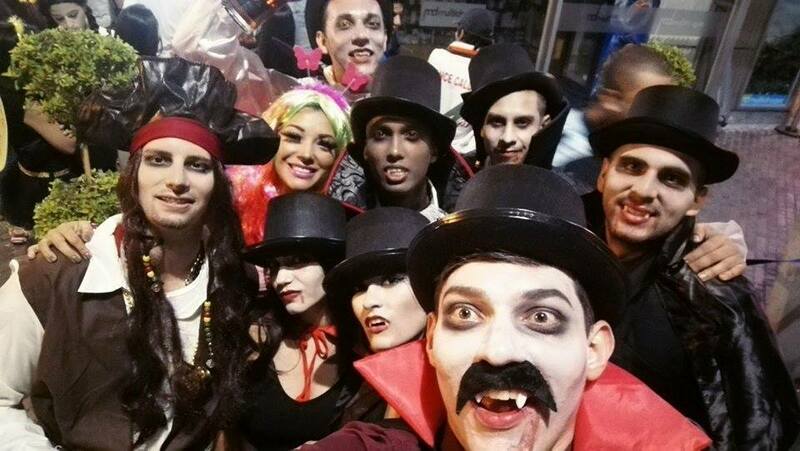 The whole crew in Manizales for Halloween 2016!